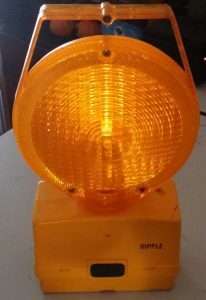 A friend gave me an old barricade light. This one dates back to the 80s’ or 90s’ as it is marked SEQEB (South East Queensland Electricity Board). 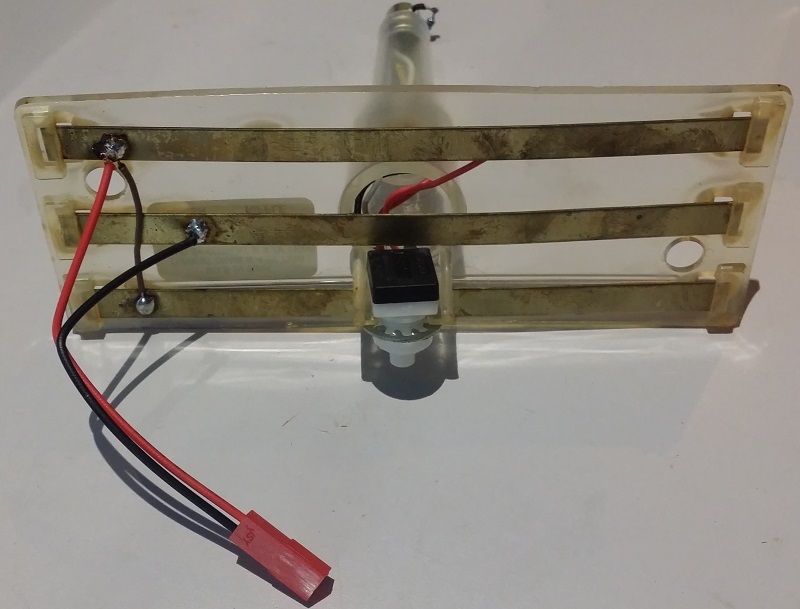 It takes one or two 6V lantern batteries, but I’ve modified it with an LED and li-po battery. To keep the light as original as possible, I kept the SBC socket. 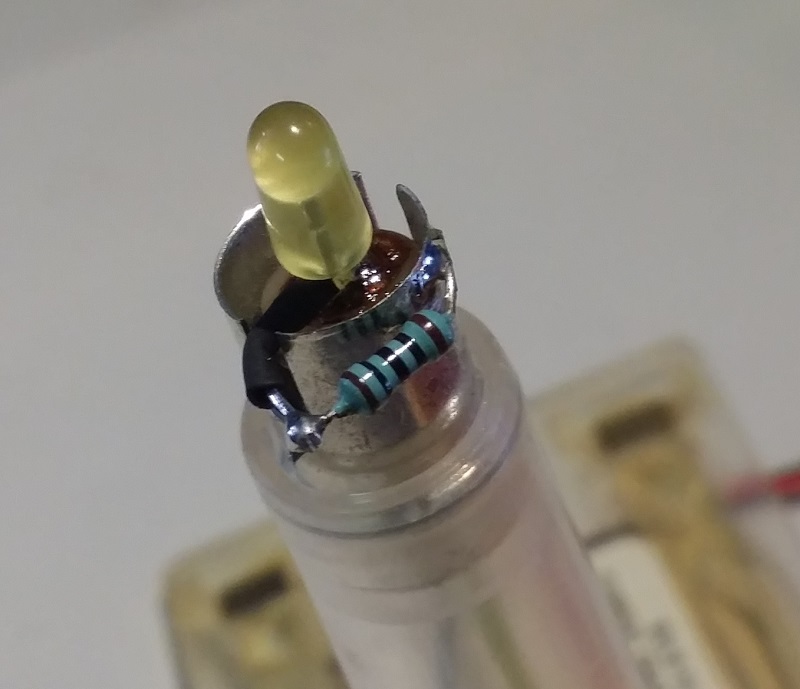 I carefully soldered an LED to the contacts with a series resistor. The LED cathode went to the centre lamp contact. The LED voltage is about 2V and the li-po battery is about 4V. This leaves 2V to drop across the 100 Ohm resistor. That results in a max LED current of about 20mA. The average current is lower due to the ripple (rapid flashing). A 2 pin male connector was soldered to the brass strips. These are what the springs on the original batteries contacted. These units has a light sensor so they only operate in darkness. You can see a small hole in the middle towards the top of the case. This is used to activate the on/off switch by a thin pin.